My Business - ************ A NEW 60+ Men's Wood Bat Slow Pitch Team coached by Fred Marshall is being formed to fill-out the League. Games are played on Wednesday nights at West Falls Park in the Town of Aurora. ****Please Contact*** Fred at djfrederick1@gmail.com if you are interested For the 2019 50+Season the SILVER SURFERS are playing in the Cheektowaga NY Recreation League! Games will be on Saturday Mornings, 10 AM at Stiglmeir Park on Losson Road. No Residency Requirements! Good, Experienced Slow-Pitch Players are needed to fill-out Teams. TEAM Dues will be $40.00 for umpire fees and a beer-fund! Games will be from mid-May until early August. Please contact me on the *Contact US* Form or at 716-863-8978 if you are interested in playing! THINK SPRING 2019!! 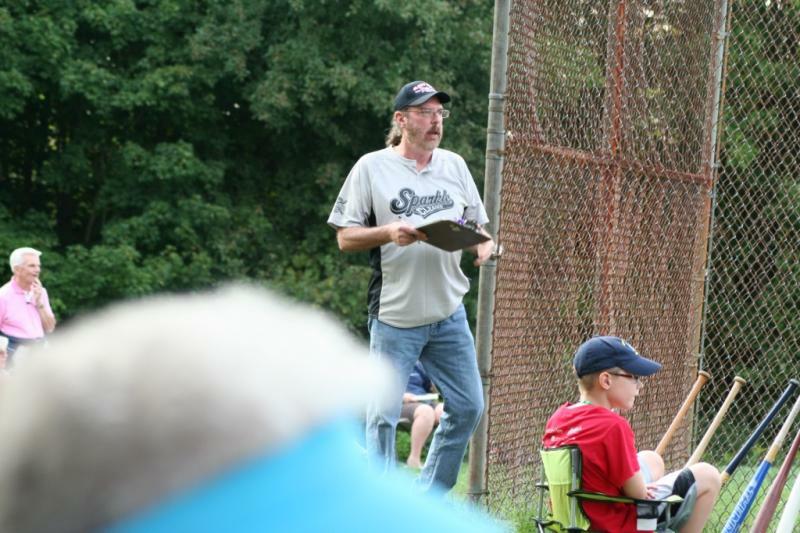 A NEW 60+ Men's Wood Bat Slow Pitch Team coached by Fred Marshall is being formed to fill-out the League. Games are played on Wednesday nights at West Falls Park in the Town of Aurora. 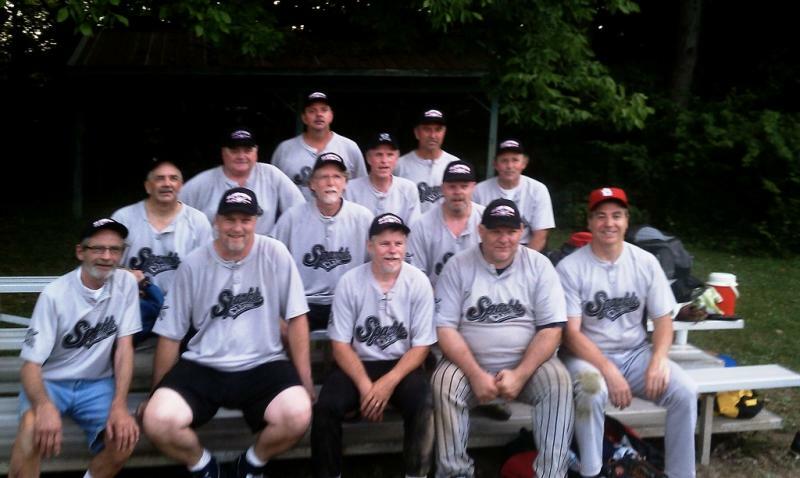 For the 2019 50+Season the SILVER SURFERS are playing in the Cheektowaga NY Recreation League! Games will be on Saturday Mornings, 10 AM at Stiglmeir Park on Losson Road. No Residency Requirements! Good, Experienced Slow-Pitch Players are needed to fill-out Teams. TEAM Dues will be $40.00 for umpire fees and a beer-fund! Games will be from mid-May until early August. Please contact me on the *Contact US* Form or at 716-863-8978 if you are interested in playing! The Voortman Cookie Silver Surfers lost only two games during the 2018 50+ Senior Softball League with both defeats coming at the hands of BAV Services. On Saturday morning at Cheektowaga Town Park the Surfers got revenge with a huge, unexpected 15-0 win over BAV in the League Championship game. The underdogs going into the contest Voortman played the ‘perfect’ game on defense and at the plate. BAV was unable to get a runner past 2nd base while the Surfers cracked 20 solid hits and scored in every inning. BAV finished the season with an 8-4 record while Voortman went 9-2 over the 11 weeks of play. The line-up of Mike Geiger, Ben Wilson, Rich Serrano, Mark Brinkel, Paul Young, Mike Herb, Kevin Larson, Craig Meyers, Guy Muto, Dave Weinman, Ken Struck and Tim Berbach all deserve equal recognition in the team victory. 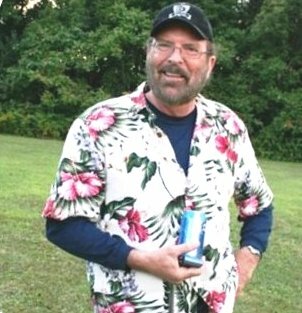 The Surfer’s Manger, John Stegner, stated that is was the most perfect game of slow-pitch softball played by any team he has coached over 39 years. Kevin Larson, at 3rd base for Voortman, had 6 put-outs and added a 2 RBI triple in the 1st inning was named MVP of the Championship game. For BAV Services Scott Kalman had 2 hits in the loss. 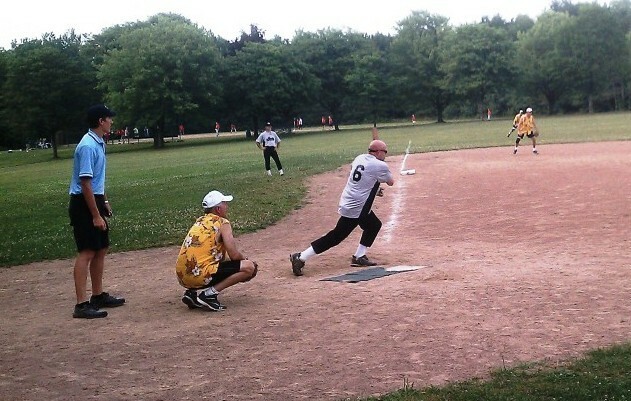 After 10 weeks of very competitive play the Voortman Cookie Silver Surfers will face BAV Services in the 50+ Senior Wood Bat Softball League Championship game this Saturday. The game will be played at Cheektowaga Town Park diamond #5 with a game start time at 9:30 AM. In the 1st round of the play-offs Voortman defeated Joint Venture 14-1 and BAV Services squeaked by a tough True Buffalo Apparel team 6-4. Winning pitcher Mike Geiger limited Joint Venture to 5 singles and smacked 3 hits for 4 RBI’s to lead the victors. Craig Meyers had a 3 for 3 day while knocking in 4 runs. Paul Young, Tim Berbach, Ben Wilson and Rich Serrano each added 2 hits to the Voortman attack. Shortstop Mike Herb had 6 put-outs leading the winners on defense. Lance Skowron made several outstanding running catches in left field and went 2 for 3 at the dish for Joint Venture. BAV Services advanced to the Championship game with 7 straight victories by defeating True Buffalo Apparel 6-4. The name of the game was great defense by both teams. True Buffalo Apparel jumped out to a 2-0 after the 1st frame led by two RBI’s from Rich Jablonski. BAV took back the lead with 3 runs in the in the 2nding inning with key hits by Art Pelletier and Art Meany. TBA fought back for a 4-3 margin in the top of the 3rd on pokes by Doug Pagano, Joe Wawrzynek, Shawn Yost and Coach Mark Bellanca. 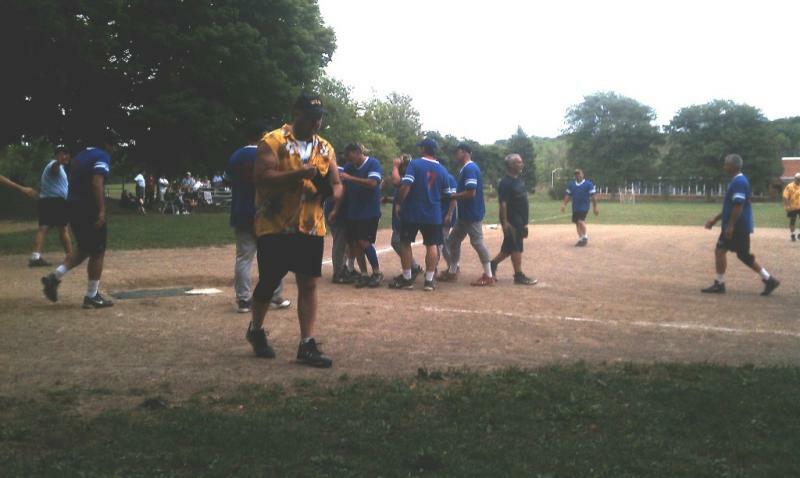 In the game John Meka scored 2 runs while Bob Weigand as Assistant Coach guided the True Buffalo Apparel defense. BAV Services tallied 3 times in the bottom of the 3rd and that was all the scoring in a 6-4 win. Scott Kalman had 3 hits, John Loos was a standout at shortstop and Dave Marcotte was sharp on the mound for the winners. to hear if games have been cancelled! OUR LEAGUE SCHEDULE IS BELOW! 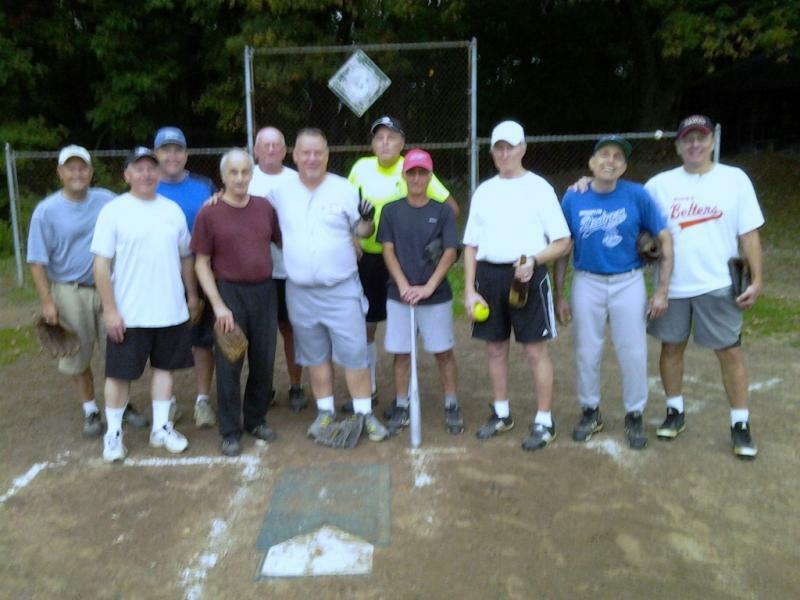 The 50+ Senior Wood Bat Softball League, with games at Cheektowaga Town Park, has completed its regular season schedule after nine weeks of play. League Play-Offs will begin this Saturday at Diamonds #3 and #5 at 10AM. This week BAV Services won their 6th straight game knocking off the Voortman Silver Surfers 8-3 and True Buffalo Apparel upended Joint Venture 10-4. The first place Silver Surfers lost their 2nd game of the season to BAV Services who finished with a 6-3 record. BAV took a 3-2 lead after one inning of play and controlled the game the rest of the way. The Surfers scored in the top of the frame with an RBI triple by Ken Struck and a single by pitcher Mike Geiger. BAV countered with a double by Dave Marcotte and RBI singles by John Loos, Chris Gibney and Coach Bob Majdanik. Majdanik knocked in Marcotte with a monster triple followed by an RBI poke by Jim Pellnat to make the count 5-2. Geiger smashed a solo four-bagger in the 3rd inning to make it 5-3 but the Voortman Surfers wouldn’t score again. BAV iced the game with 3 scores in the bottom of the 6th led by Jim Mikulsky and Fred Adams RBI singles to make the final 8-3. Mike Herb had a 2 for 3 day at the dish for the defeated Surfers. True Buffalo Apparel won their 4th game of the campaign by knocking of the Joint Venture squad 10-4. Winning pitcher Ron Palmowski got big offensive support led by Shawn Yost who went 4 for 4 with a triple and double. Joe Wawrzynek smacked 2 triples for 4 runs-batted-in while John Meka, Rich Jablonski, Joe Lamanto and Coach Mark Bellanca chipped in with 2 hits each. Gregg Keurian scored 2 runs and Randy Spivak had an RBI single for the victors. Jon Robbins took the mound loss for Joint Venture while adding 2 hits. Ken Boos, John Christman and Lance Skowron each punched 2 singles in defeat. True Buffalo Apparel will play 2nd place BAV Services at diamond #3 and Voortman will tangle with Joint Venture at diamond #5 at 10 AM Saturday. The winners will advance to the Championship game the following Saturday. The Voortman Cookie Silver Surfers defeated True Buffalo Apparel 9-8 on Saturday morning in 50+ Senior Wood Bat Softball League play. The victory clinched 1st place for the Surfers. In 3 wins against True Buffalo Apparel the margin of victory for the Surfers was a mere 4 total runs. BAV Services won their 5th straight game with a 16-3 pounding of Joint Venture. Voortman jumped out to a 5-0 lead in the top of the 1st inning. Singles by Paul Young, Mike Geiger, Craig Meyers, Todd Meyers and a HR blast by Ken Struck plated the runs. TBA scored a single run in their half of the 1st on an RBI single by Doug Pagano. Tim Berbach knocked in Craig Meyers for a 6-1 Surfer 4th inning lead. True Buffalo Apparel bounced back with 2 runs in the bottom of the 4th after 2 Surfer errors, a walk and an RBI single by Joe Lamanto. Voortman scored 3 runs in the 6th frame for a 9-4 lead. Dave Wineman doubled in 2 runs and Struck had an RBI single. With the score at 9-5 TBA mounted a furious rally in the 7th on key singles by John Meka and Rich Jablonski. With the tying run on 2nd base with 2 outs winning pitcher Bob Richter enticed a fly out to centerfield to Mike Herb for the win. Rich Serrano made a game saving catch in right field to help secure the thrilling 9-8 victory. BAV Services got out to a 10-0 lead after 3 innings and coasted the rest of the way. Dave Marcotte was the winner on the hill while Jim Pellnat belted a monster 4-bagger. Veterans Lynn Boehmer and Steve Cislo each poked key singles in the win. Interim bench coach Tom Dworak had 2 hits for BAV. For Joint Venture John Christman and Mike Baetzhold each had 2 hits while Charlie Parlato made several big plays on defense. Next Saturday Voortman tangles with BAV Services and True Buffalo Apparel takes on Joint Venture. Both games start at 10AM at Cheektowaga Town Park. 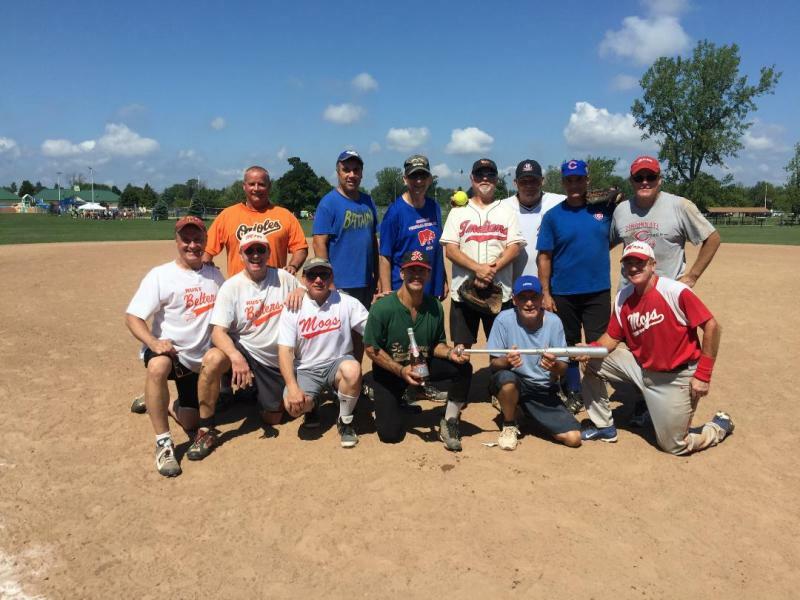 The Voortman Cookie Silver Surfers defeated Joint Venture 15-10 on Saturday morning at Cheektowaga Town Park in 50+ Senior Wood Bat Softball play. They stand in 1st Place in the League with a 6-1 record. BAV Services won their 4th straight game by beating True Buffalo Apparel 14-5 and took control of 2nd place with a 4-3 record. The Surfers surged to a 3-0 lead in the first inning as Mike Geiger smashed a long triple and Kevin Larson knocked in Geiger with a sharp single. Joint Venture responded with two scores in the 2nd inning as Pat Brauen and Aaron Featherman poked RBI singles. Five runs in the 2nd put the Surfers in front 8-2 as Paul Young, Mark Brinkle and Michael Herb all plated runners. In the 4th the score was 12-3 with Dave Wineman smoking a triple and Todd Meyers added an RBI single. In the final frame Joint Venture scored 5 times to make the final score 15-10. For Joint Venture Lance Skowron added 2 hits, Keith Proulx was 3 for 5 and Brauen had a nice 3 for 4 day at the dish. The Voortman Silver Surfers were led by Larson who finished the day 3 for 3, Weinman went 4 for 4 with 3 RBI’s, Tim Berbach had 3 hits, Geiger added a monster four-bagger, Meyers lashed a triple and Brinkle was perfect in 3 trips to the plate. Leo Noe got the mound victory while Rich Serrano made a sharp running grab in right field. BAV Services dumped True Buffalo Apparel 14-5 behind the great shortstop play of John Loos who added 4 hits in the victory. Tom Dworak scorched 2 doubles, Scott Kalman blasted a long triple in a 3 for 4 day and Dave Rusin poked 3 hits in the win. Dave Marcotte was the winner on the hill recording his 4th straight pitching victory. True Buffalo Apparel was led in the field by Gregg Keurian throwing out multiple runners on the base paths. John Meka and Shawn Yost each had 2 hits and an RBI. Mark Bellanca smacked a double while Joe Wawrzynek and Jeff Payne added RBI singles. Next week’s games will be played at Stiglmeier Park. True Buffalo Apparel will host the Silver Surfers at diamond #7 while Joint Venture will tangle with BAV Services at diamond #8. 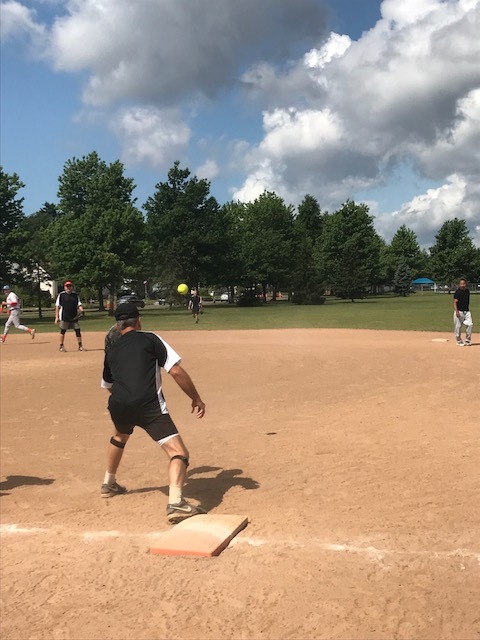 BAV Services knocked the Voortman Cookie Silver Surfers from the unbeaten ranks with a 7-4 win in 50+ Senior Wood Bat Softball League play Saturday morning at Cheektowaga Town Park. BAV won their third straight game after a rough start to the season losing 3 games by a total of 5 runs. In the other game of the morning True Buffalo Apparel knocked off Joint Venture 12-4 moving into a tie for 2nd place in the League standings. The Surfers scored in the 1st inning on an RBI single by Kevin Larson driving in Paul Young who had doubled. BAV Services came back in the bottom of the frame with RBI singles by Art Meaney and Tom Dworak to grab a 2-1 lead. The score jumped to 4-1 in the 3rd inning as veteran Dave Rusin and Meaney drove in John Loos and Scott Kalman. A towering 3 run triple by Kalman cleared the bases putting BAV in the driver’s seat at 7-1 after 4 innings. Voortman fought back plating 3 runs in the 5th on RBI singles by Tim Berbach, Marty Kohler and Rich Serrano. The Surfers couldn’t dent the excellent BAV defense the rest of the day for a final 7-4 score. True Buffalo Apparel got back in the win column with a convincing 12-4 win over Joint Venture. TBA scored 4 runs in the 1st inning highlighted by a 3 RBI triple by Joe Lamanto. Tom Meka, Joe Wawrzynek and Rich Jablonski all smacked key hits in the 4th to make the score 8-0. True Buffalo Apparel put the game away with a 4 run 5th inning with RBI singles by Larry Len, Greg Keurian and Meka. Joint Venture was led at the dish by Aaron Featherman and Lance Skowron. Ron Palmowski got the win on the hill with Keurian making several nice plays in the outfield for TBA. The Voortman Cookie Silver Surfers hung on for a tense 13-12 win over True Buffalo Apparel Saturday in the 90 degree heat at Cheektowaga Town Park. 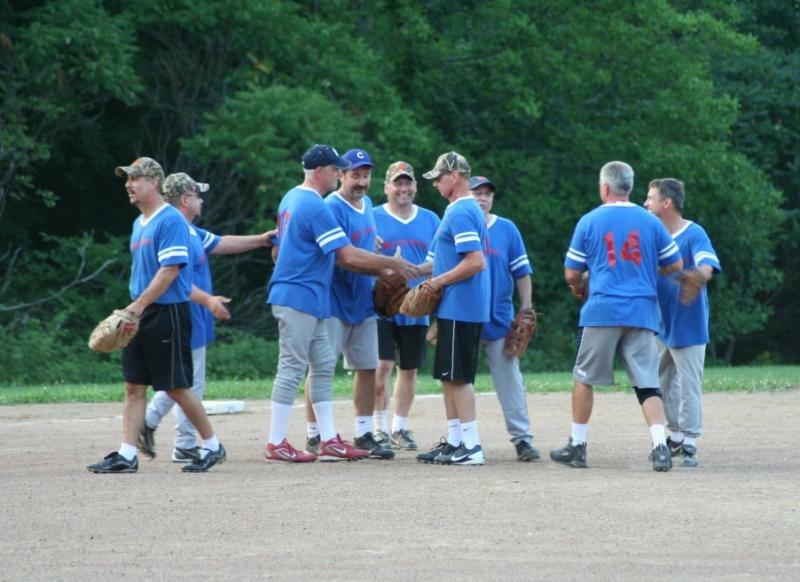 The victory moved their record to 5-0 in the 50+ Senior Wood Bat Softball League. BAV Services won their 2nd straight game with a 13-6 triumph over Joint Venture. 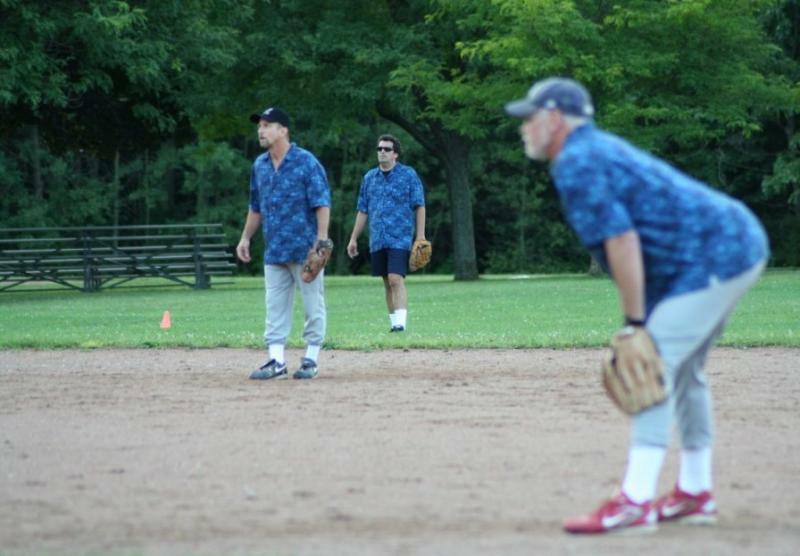 The Silver Surfers jumped out to a quick 5-0 in the 1st inning. Mark Brinkle doubled in 2 runs, Todd Meyers plated two more and Dave Carlson had a sacrifice fly in the frame. In the 2nd inning Jerry Magoffin of True Buffalo Apparel singled for 2 RBI’s. The Surfers punched out 5 hits for 5 runs in the 4th inning to give them an apparently comfortable 12-5 lead. Paul Young, Ken Struck, Tim Berbach, Ben Wilson and Brinkle all singled to lead the attack. Wilson played errorless ball at the dish and Guy Muto walked twice scoring 2 runs. 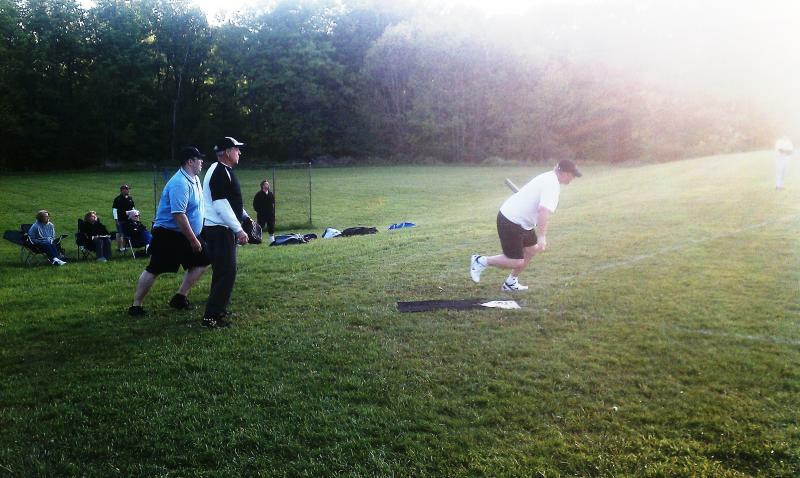 True Buffalo Apparel responded with 4 runs on key hits by Ron Palmowski, Doug Pagano, Rich Jablonski and Randy Spivack. The scoreboard now showed a 12-9 lead for the Surfers. Lou Russo smashed a single on the way to a 4 hit game driving in the 11th run for TBA. In the 6th inning Brinkle came through again with an RBI single plating Young. With a slim 13-11 lead going into the final inning the Surfers defense saved the day. TBA loaded the bases with no outs and were on the verge of a big comeback win. Russo scored on a double by Magoffin but winning pitcher Bob Richter closed the door with help from exceptional outfield plays by Berbach, Struck and a grounder snag at 1st base by Rich Serrano for the last out. The final score was 13-12 in a great game. BAV Services got out in front early and didn’t look back for the 13-6 win over Joint Venture. John Loos, Scott Kalman and Dave Rusin each had 3 hits to lead the BAV attack. Dave Marcotte got the hill win in relief and added 2 hits. Bob Majdanik hit a monster four-bagger with 2 runners on base to lock down the win. Jon Robbins took the hill loss for Joint Venture but smacked two singles while Mike Baetzhold had 2 RBI’s. John Christman and Lance Skowron each had 2 hits in defeat. Aaron Featherman and Charlie Parlato made outstanding plays for the Joint Venture defense. BAV Services broke into the win column Saturday morning at Cheektowaga Town Park with a hard fought 7-6 victory over True Buffalo Apparel. 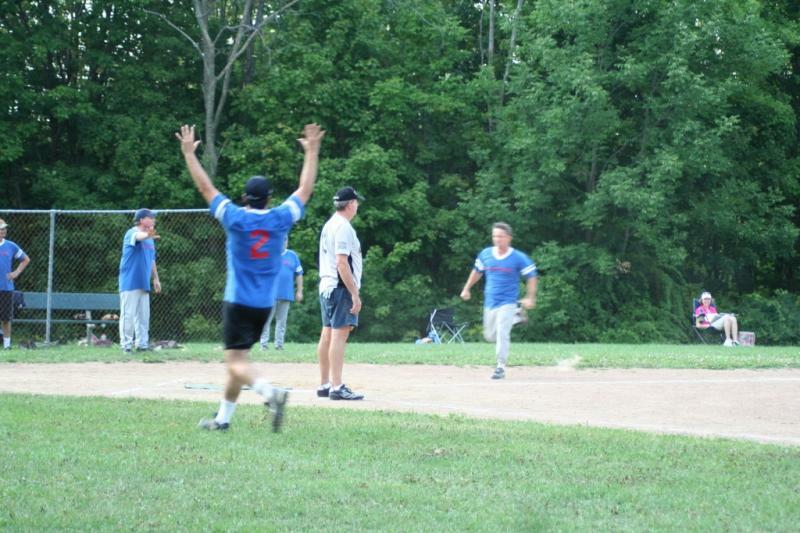 BAV had lost their last 3 games in the 50+ Senior Wood Bat Softball League by a combined margin of 5 runs before this win. The Voortman Cookie Silver Surfers remained undefeated with a 15-1 conquest of Joint Venture in the second contest of the day. True Buffalo Apparel jumped out to a 3-0 lead on keys hits by Shawn Yost and losing pitcher Ron Palmowski. The lead was 6-3 after innings as Joe Wawrzynek poked a four-bagger. Doug Pagano and Mark Kane had 2 hits each while Jerry Magoffin were strong on defense for TBA. BAV rallied in the bottom of the 7th frame for 3 runs tying the score. After holding TBA scoreless in the top of the 8th Mike Meyers tripled with a runner on 1st base to seal the victory. John Loos and Tom Dworak were solid for the winners in the field while Chris Gibnney added great defense and also was 3 for 3 at the dish. The Voortman Cookie Silver Surfers pounded out 30 solid hits in 6 innings to beat Joint Venture 15-1. Ken Mamon, Paul Young and Kevin Larsen at the top of the line-up each went 4 for 5 at the plate. Ken Struck was 4 for 4 with a double and triple with 3 RBI’s. Craig Meyers was 2 for 3 with a double, brother Todd Meyers chipped in with 3 hits and 3 RBI’s, Tim Berbach had 3 hits scoring 2 runs and Ben Wilson added 2 RBI’s with shot down the right field line. Winning pitcher Leo Noe was solid all game staying ahead of the hitters and also adding 3 hits. The entire Surfer defense was outstanding with Guy Muto making several great catches in left centerfield. Joint Venture playing good defense but couldn’t stop the Surfers hitting. John Forcucci had 2 singles and scored as Keith Palmer doubled in the top of the 7th inning. Jon Robbins took the hill loss. True Buffalo Apparel shut-out Joint Venture 11-0 on Saturday morning in 50+ Senior Wood Bat Softball League play at Cheektowaga Town Park. The win moves TBA into sole possession of second place with a 2-1 record. In the other game of the day the Silver Surfers remained unbeaten as they held on for a 9-7 victory over BAV Services. True Buffalo Apparel played fantastic defense behind the pitching of Ron Palmowski. The infield of Shawn Yost, Mark Bellanca, Jerry Magoffin and Doug Pagano turned 4 double-plays. TBA swatted 19 hits in the game led by Mark Kane with a 4 for 4 day. Rich Jablonski and Joe Wawrzynek had 3 hits with 2 RBI’s each while Larry Len added 2 singles for the winners. Joint Venture trailed by just 4 runs heading into the 5th frame when the floodgates opened. With just 7 hits and a walk they were unable to get a runner past second base against the tough True Buffalo Apparel defense. John Christman at shortstop, John Forcucci at second base, Mike Baetzhold at third base, Aaron Featherman in center field, Ed Bratek and Michael Gasiewicz in the infield held the Joint Venture defense together as they slipped to a 1-2 record. The Voortman Cookies Silver Surfers jumped out to 7-0 lead over BAV Services after 4 innings. Only a 2 run 6th inning for the Surfers with key RBI singles by Todd Meyers and Marty Kohler secured the 9-7 victory. Bob Richter got the hill win and chipped in with 2 hits. Dave Wineman doubled driving in 2 runs, Ben Wilson smacked 2 hits while Meyers had a 3 for 4 day at the dish and amassed an amazing 11 put-outs from his third base position. BAV Services, headquartered in Cheektowaga, rallied for 7 tallies over the final 3 innings but fell short with the tying runs on base in the top of the 7th. Art Meany, Scott Kalman, Ron Learn and John Loos each punched 2 hits for BAV. Bob Majdanik doubled home 2 runs in the final frame with a deep shot to left-center field and 81 year old Steve Cislo singled to start a 4 run 5th inning rally. BAV Services fell to 0-3 while losing the 3 games by a total margin of just 5 runs. 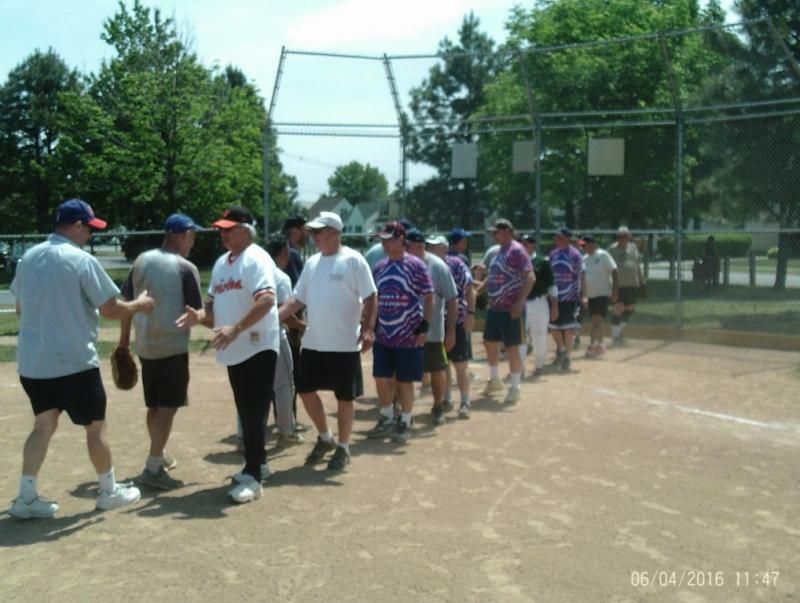 The Voortman Cookie Silver Surfers pulled out a hard fought 5-3 victory over True Buffalo Apparel in the 50+ Senior Wood Bat Softball League on Saturday at Cheektowaga Town Park. The battle between undefeated teams featured great defensive plays and a late rally to win by the Surfers. In the second game of the day Joint Venture defeated BAV Services 8-6. True Buffalo Apparel loaded the bases in the 1st inning but scored just one run on an RBI single by Ron Palmowski. An excellent relay from the outfield cut down another run as Ben Wilson of the Surfers scooped the throw and made the tag out at the plate. TBA added single scores in the next 2 innings as Greg Keurian scored in the 3rd on an RBI single by Shawn Yost. Trailing 3-1 in the bottom of the 5th frame the Surfers pounded six straight hits after two outs to take a 5-3 lead. Winning pitcher Bob Richter, Dave Carlson, Ken Mamon, Dave Wineman and Guy Muto all stroked singles while Kevin Larsen plated the go ahead runs with a 2 RBI double. The Surfer defense turned 2 double-plays in the final innings to seal the 2 run victory. Muto went 3 for 3 in the game with 2 RBI’s while Joe Saletta had 2 hits and played a strong game at 2nd base. Joe Lamanto added 2 hits and Mark Bellanca had 7 put-outs from his shortstop position for the True Buffalo Apparel team. Joint Venture got into the win column with a come from behind win over BAV Services. BAV jumped to a quick 3-0 lead behind singles by Bob Majdanik, Lynn Boehmer and Dave Rusin. Joint Venture got on the scoreboard with key hits by Mike Baetzhold and Charlie Parlato. BAV kept the game close as Scott Myers drove in 3 runs with 2 singles while relief pitcher Art Meaney threw 2 shut-out innings and made all 3 put-outs in the 6th inning. Joint Venture scored the winning runs on big hits by John Christman and Lance Skowron. Winning pitcher Jon Robbins added 2 singles in the 8-6 win. Next Saturday the Silver Surfers host BAV Services and Joint Venture tangles with True Buffalo Apparel at Cheektowaga Town Park at 10 AM. 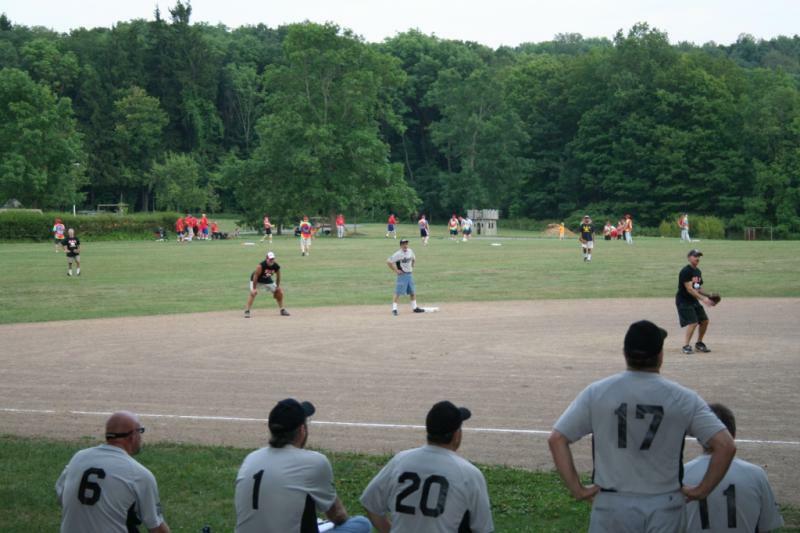 The Senior Wood Bat Softball League is an independent organization sponsored by Wilson Distribution Services with players from the WNY area. 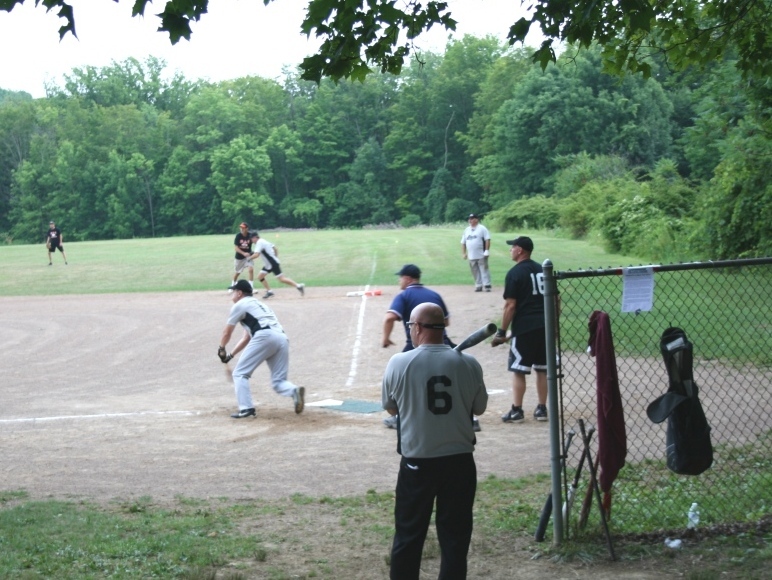 Men over 50 years of age interested in joining a team can get information at www.woodbatsoftball.com . 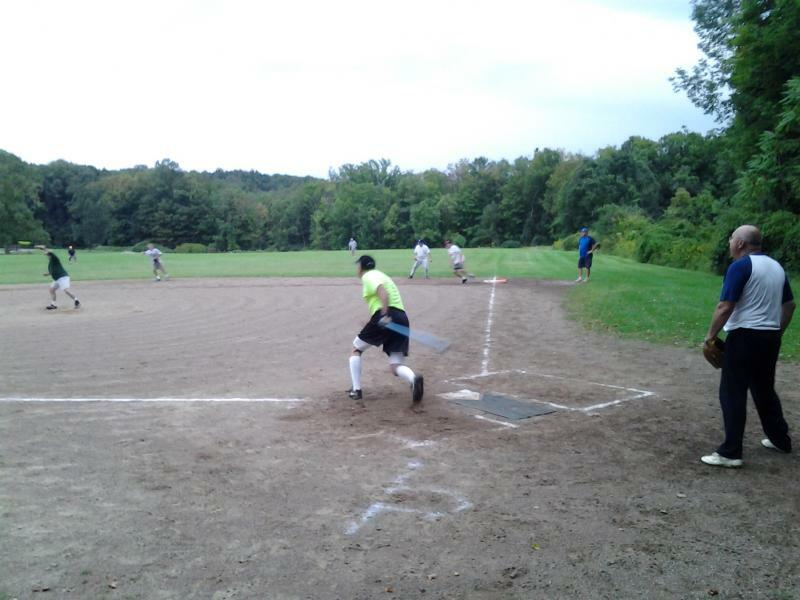 The new, non-profit and independent Senior Wood Bat Softball League began their season this past Saturday morning at Cheektowaga Town Park. 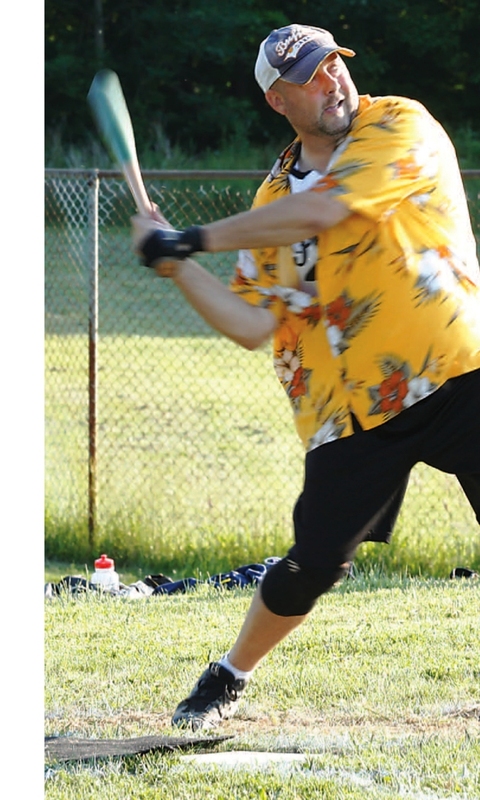 The Slow-Pitch League is for men over 50 years of age and uses wood bats with special rules for Senior players. 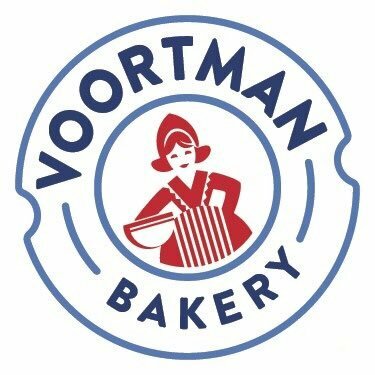 The League is sponsored by Wilson Distribution Services which supplies Voortman Cookies to Western New York stores. There is no residency requirement and teams are always seeking additional players. Contact john@woodbatsoftball.com or call 716-863-8978 to get involved. The Silver Surfers smacked 21 hits leading the way to a 15-2 victory over Joint Venture. Paul Young at shortstop for the Surfers went 4 for 4 with a double at the plate. Kevin Larsen had a 4 for 4 day at the dish while winning pitcher Bob Richter went 3 for 3 and drove in 4 runs. Ben Wilson, Marty Kohler, Guy Muto and Todd Meyers chipped in with two hits apiece while Brian Mach and Tim Berbach each knocked in 2 runs. Craig Meyers and Dave Wineman made run saving catches in the outfield while Joe Saletta was strong defensively at 2nd base for the winners. For Joint Venture Mike Baetzhold had a single and drove in a run, John Robbins went 1 for 3 and Lance Skowron was 1 for 2 at the plate. The infield led by John Rocco at shortstop turned 3 double-plays for Joint Venture. True Buffalo Apparel pulled out a hard fought 8-7 win over BAV Services. TBA came out slugging in the 1st inning with a 3 run dinger by Shawn Yost. John Meka then followed with a solo HR shot to make the score 4-0 after one frame. Rich Jablonski added 3 hits; Joe Lamanto and Ron Palmowski had 2 singles each while Doug Pagano played a great game at 1st base for the winners. BAV Services rallied late in the game behind the hitting of Coach Bob Majdanik, Dave Rusin and Ron Learn. In the final inning BAV threatened to tie the score but True Buffalo Apparel came up with big defensive plays to close out the game. This coming Saturday the Silver Surfers host True Buffalo Apparel at 10AM and Joint Venture tangles with BAV at 11:30. 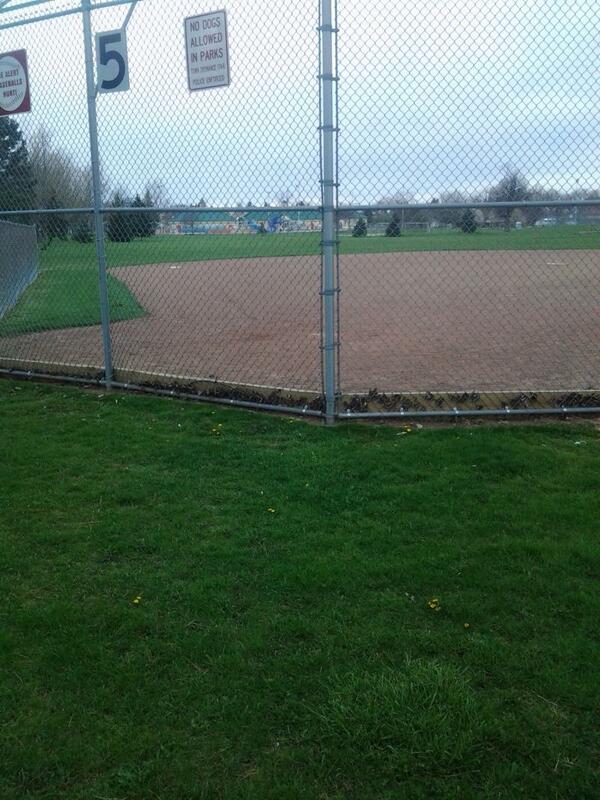 Both games will be played at Cheektowaga Town Park diamond #5. “Bring us those with sore arms and aching shoulders. Bring us those with injured knees and throbbing hips. Bring us those who were and now are not. Bring us those that never were but still strive to be. Tom Kania of the SPARKS posing for his Senior Woodbat Softball League Bubble Gum card photo !! 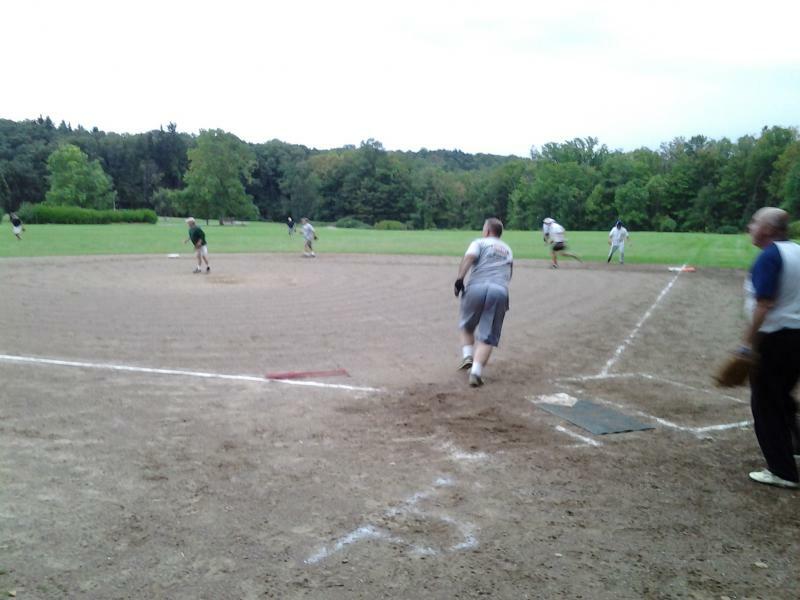 They defeated the 'Sparks' 13-6 as Dave Rusin smashed a HR and John 'Moon" Mullins stroked a triple & double for 3 RBI's. Fred Marshall managed the Cubs, Jon Robbins was the winning pitcher and Dave Weinman was named game MVP! 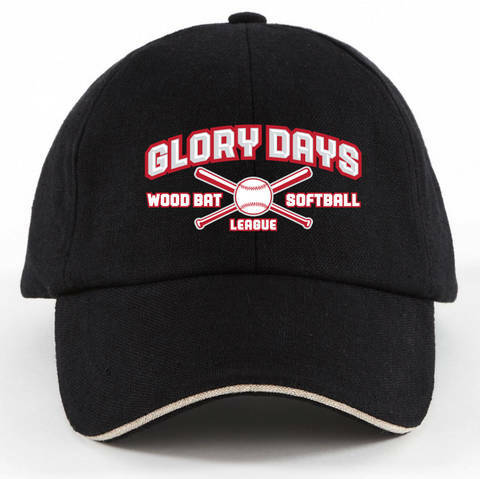 The inaugural Senior Wood Bat Softball League Championship game will feature the IGY Cubs and the SPARKS who both finished the season with 7-2 overall records. The title game will be played this Saturday at Cheektowaga Town Park starting at 10:30 AM. The SPARKS squeaked out a hard-fought 4-3 win over a much improved True Buffalo Apparel team to advance to the big game. In the 2nd inning 1st baseman Brian Mach tripled and winning pitcher Neil Wolfe knocked him home to make the score 1-0 SPARKS. Paul Young of the SPARKS smacked an opposite field four-bagger with Ken Mamon on base to move the score to 3-0 after three frames of play. True Buffalo Apparel came back with 2 runs in the top of the 5th with three straight singles by pitcher Ron Palmowski, Lou Russo and Tom Meka followed by a Mark Bellanca sacrifice fly. In the top of the 6th with 2 outs Greg Keurian tied the score at 3-3 with a solo home run to right field. The eventual winning run for the SPARKS came in the 6th when rookie Charlie Parlato hit a clean single to start off the inning. After 2 fly-outs left fielder Craig Meyers drove Parlato home with a triple to right center field. True Buffalo Apparel went down in order in the top of the 7th which included a nice running catch by outfielder Mike Baetzhold for the SPARKS. The IGY Cubs jumped out to a quick 11-2 lead after just 3 innings and coasted to a 13-3 win over the short handed Weakened Warriors. In the 1st inning singles by Dave Rusin, John Mullins, Joe Colvin, Coach Fred Marshall, Ron Learn and a Bruce Pienkowski double made the score 5-0. The Warriors made the score 7-2 in the top of the 3rd with key hits by Craig Egan, Greg Miller, Matty Mann and Dennis Kinecki. The Cubs replied with 4 scores of their own in the bottom of the inning on hits by Colvin, Pienkowski and Lance Skowron. Skowron was named player of the game by the Cubs who went 3 for 3 and had his best game of the season. The Cubs ended the season winning 7 of their final 8 games with the only defeat a 10-9 7th inning loss to the SPARKS. 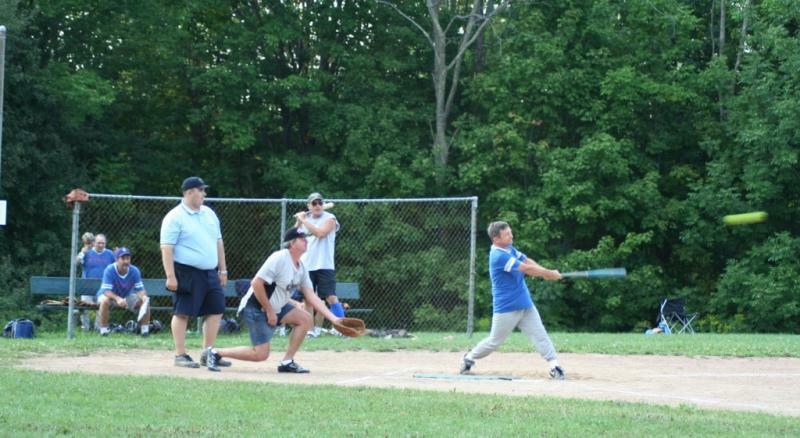 After four weeks of practices and 8 regular season games in the hot summer sun, the brand new Senior Wood Bat Softball League will begin their Play-Offs this Saturday at Cheektowaga Town Park. The SPARKS will face the Buffalo True Apparel squad while the IGY Cubs tangle with the Weakened Warriors. Games start at 10:30 AM and fans are encouraged to attend and see these players that range from 50 to 77 years of age play ball! The SPARKS ended the season just as they started with 3 straight victories. In a 12-2 win over True Blue Apparel shortstop Ken Mamon went 4 for 4 at the dish with a four-bagger to lead off the game. Paul Young was solid at 2nd base and added 3 singles while winning pitcher Neil Wolfe slugged a bases loaded Home Run. Craig Meyers went 2 for 4 at the plate and had a great game in leftfield. 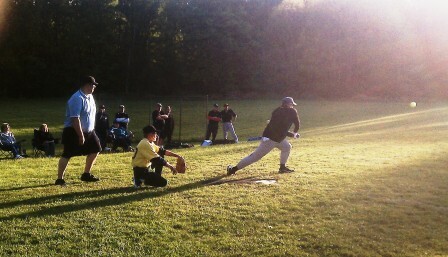 Tim Berbach was 2 for 3 with a double and HR, Brian Mach went 2 for 2 and Mike Baetzhold added two hits for the winners. For TBA, third baseman Shawn Yost played a strong defensive game and slugged a mammoth four-bagger with 2 RBI’s. Jerry Magoffin went 2 for 3 in defeat. THE IGY Cubs snuck by the Weakened Warriors 8-4. Jon Robbins got the mound win with great defensive support from Todd Sugarman and Fred Marshall. Joe Colvin, Wayne Centner and Rich Serrano each poked 2 hits for the winners. The Weakened Warriors were led by Matty Mann and Craig Egan with 3 hits each. Mann made a spectacular running catch in the outfield to rob Sugarman of an extra base hit. 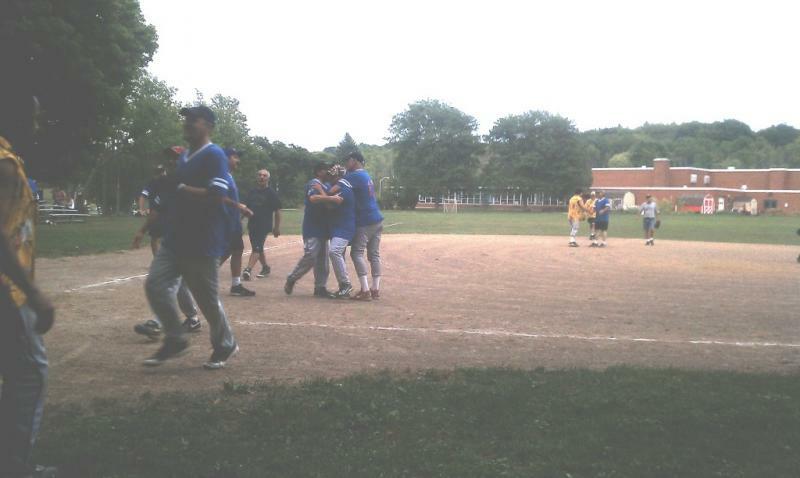 The SPARKS of the Senior Wood Bat Softball League erupted for 6 runs in the bottom of the seventh inning to upset the 1st place IGY Cubs 10-9. The win leaves both teams with 5-2 records and tied for the top spot. In other Saturday morning action at Cheektowaga Town Park the Weakened Warriors defeated True Buffalo Apparel 9-5. The Cubs jumped out to a 5-0 lead after just 2 frames led by RBI singles by Bruce Pienkowski and Rich Serrano. Todd Sugarman, John Mullins and Dave Rusin also drove home runs with key hits. The SPARKS bounced back in the bottom of the 2nd with 3 scores of their own to make the score 5-3. Five consecutive singles by Kevin Larson, Tom Kania, Aaron Featherman, Bud Smith and Neil Wolfe accounted for the scoring. In the 5th inning Tim Berbach pounded a four bagger for the SPARKS to make the score 6-4 Cubs. The Cubs appeared to put the game away by scoring 3 runs in the top of the 7th after two outs. Jon Robbins, Lance Skowron, Sugarman, Mullins and Rusin all had key hits. Trailing 9-4, lead-off hitter Jerry Hernandez for the SPARKS lit the fuse with a 3-2 pitch walk. Then, Brian Mach followed with a single, Mike Baetzhold a single, Berbach a single, Larson doubled and Kania hit a sacrifice fly. Finally, Featherman singled, Smith drove in the tie run and winning pitcher Neil Wolfe lined a clean single to center field to drive in the winning run. Game over and an amazing 10-9 comeback win for the SPARKS. The Weakened Warriors plated 9 runs in the first 2 innings and hung on for a 9-5 victory over True Buffalo Apparel. Joe Puntoiero highlighted the Warriors scoring with a grand slam in the 2nd inning. Greg Miller got the hill victory and Craig Egan was solid as always at shortstop. 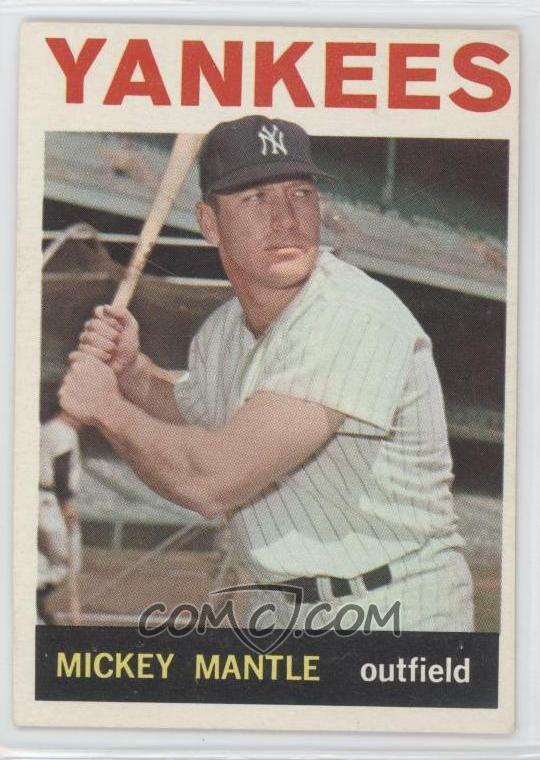 Dennis Kinecki, suffering from a shoulder injury and basically batting one-handed, was 1 for 1 at the dish with 2 walks and also made several nice plays at 1st base for the winners. For True Buffalo Apparel Shawn Yost was stellar at third based and smacked a HR. Rich Jablonski had two hits with a triple and Tom Meka had a 2 RBI single. The streaking IGY Cubs won their fifth consecutive game Saturday morning at Cheektowaga Town Park in the 50+Senior Wood Bat Softball League. They beat True Buffalo Apparel 6-2 to hold on to 1st place with a 5-1 mark. In other action the SPARKS defeated the Weakened Warriors 11-1 to break a two game losing streak. In the 1st inning Todd Sugarman and John Marshall led off the game with singles. They both scored to make the score 2-0 on RBI hits by John Mullins and Gary Steinmetz. True Buffalo Apparel bounced back with RBI singles by Jerry Magoffin and Rich Jablonski to tie the game at 2-2. The score remained tied into the 5th frame until singles by Mullins, Joe Colvin, Steinmetz and a key double by Rich Serrano led to 4 runs and a 6-2 lead. Ronnie Learn made a dazzling running catch in the outfield in the 7th inning to save the win. Ron Palmowski had 2 hits; George Grasser pitched a strong game while Shawn Yost at 3rd base and John Meka in left field were solid on defensive for True Buffalo Apparel. The SPARKS moved their record to 4-2 as they used the long ball to defeat the Weakened Warriors 11-1. In the 2nd inning Kevin Larson singled followed by back-to-back home runs by Craig Meyers and Tom Kania. In the 3rd Ken Mamon tripled, Tim Berbach doubled while Larson, Meyers, Carl Markiewicz all singled and scored for 5 more runs. Mike Baetzhold doubled in 2 runs and Larson hit a sacrifice fly in the 5th inning to complete the SPARKS scoring. Neil Wolfe got the mound win and Ken Boos was solid in the outfield and added two hits for the winners. For the Weakened Warriors Craig Egan was strong at shortstop and added a single, Mark Konkle smacked 2 doubles, Gary Bukolt had 5 put-outs at 3rd base, Peter Rogerson had 2 hits and Steve Holtham drove in Egan for the Warriors only score. True Buffalo Apparel pulled away from a 1-1 tie in the 4th inning by plating 5 runs behind home runs by Richard Jablonski and Ken Magoffin. They scored 2 more runs in the 5th frame on RBI singles by Mark Kane and George Grasser. 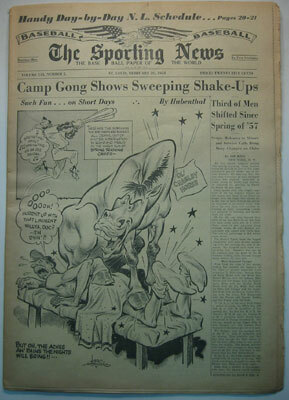 Grasser, age 77, was the winning pitcher and held the SPARKS to just 10 hits. Kane was 4 for 4 as was Greg Keurian at the dish. Manager Mark Bellanca scored 3 runs while getting on base 5 times with a single and 4 walks. For the Sparks, Aaron Featherman had 2 hits; Kevin Larson went 3 for 4 with a double and RBI while Brian Mach smacked an RBI double to score a streaking Carl Markiewicz from 1st base. The surging IGY Cubs got by the Weakened Warriors 11-2 moving to 4-1 in the standings. In the 1st inning Bruce Pienkowski pounded a bases loaded triple with two outs to give the Cubs a 3-0 lead. The Weakened Warriors responded with 2 runs on a Larry Draper triple scoring Mike Konkle and an RBI single by Craig Egan. In the 3rd inning the Cubs scored 4 runs with 2 outs. Wayne Centner poked a double to score one run, John Mullins tripled to knock in 2 more runs and finally Rich Serrano smashed a solo four-bagger to complete the scoring. With score 7-2 the Cubs went on to score 4 more runs with Jon Robbins getting the hill win. 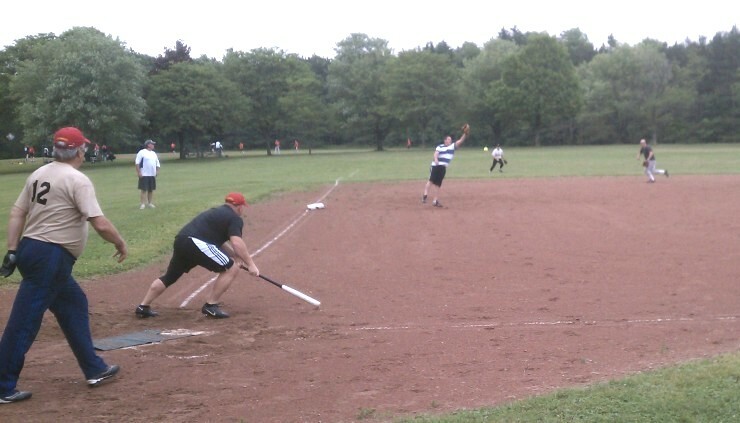 The IGY Cubs handed the SPARKS their first loss of the season on Saturday in Senior Wood Bat Softball League play. The victory moved the Cubs into a tie for 1st place. In other action the Weakened Warriors snuck past True Buffalo Apparel 5-3 and moved their record to .500. The Cubs scored single tallies in the 1st, 2nd and 4th innings to pull out the 3-0 win. Todd Sugarman singled to lead off the 1st inning and later scored on a fielder’s choice by Rich Serrano. Gary Steinmetz slashed a single in the 2nd and scored as Mike Woods hit into a fielder’s choice play. In the 4th frame Joe Colvin singled and scored on a sacrifice fly by Bruce Pienkowski. Jon Robbins got the shut-out hill win holding the hard hitting Sparks to just 7 hits; Sugarman played a perfect game at shortstop while John Mullins was strong at 1st base for the Cubs. Ken Mamon had 2 hits and Neil Wolfe threw a 6 hitter for the Sparks in defeat. The Weakened Warriors punched out key hits with runners in scoring position and gained a hard fought 5-3 win over True Buffalo Apparel. Marty Mann smacked 3 hits as Greg Miller pitched a strong game gaining his first mound victory. Craig Egan added 2 hits as did Coach Gary Bukolt who had 3 RBI’s with a triple. The Warriors infield of Egan, Charlie d’Estries, Larry Draper and Bukolt played a superb defensive game. For True Buffalo Apparel Ron Palmowski was strong on the hill while Lou Russo made several great stops at 1st base. 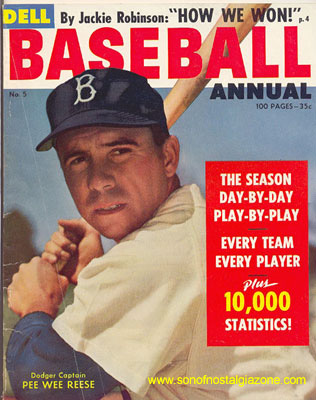 Jerry Magoffin led the offense with 3 hits while John Meka and Barry McMurray each added 2 singles. The IGY Cubs played stellar defense for 7 innings and gained their first victory in the Saturday morning contest vs. the Weakened Warriors at Cheektowaga Town Park. 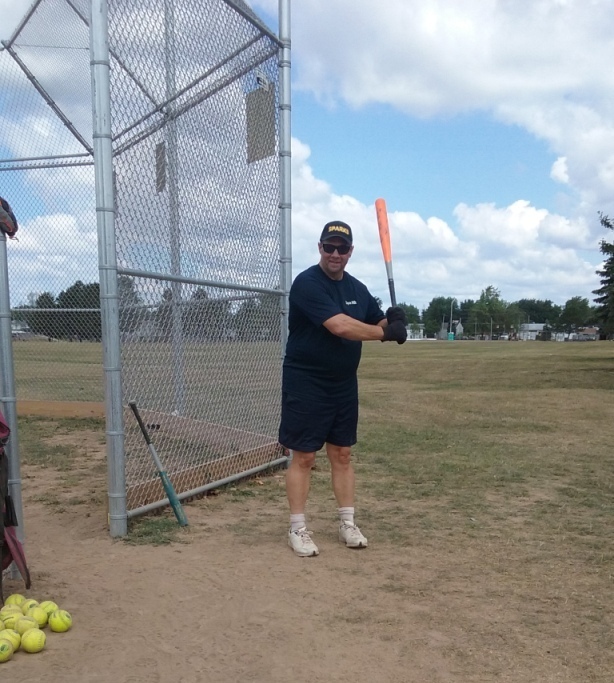 In the second game Saturday the SPARKS scored 5 runs in the 4th inning to pull away for a win over the True Buffalo Apparel team in the 50+ Senior Wood Bat Softball League. Veteran Jon Robbins threw a shut-out for the 4-0 Cubs win. Defensively, George Scherrer and Ronnie Learn turned double-plays off feeds from shortstop Todd Sugarman with John Mullins handling the throws at 1st base. Learn scored the 1st Cubs run on an RBI single by Joe Colvin. Scherrer led off the 5th inning with a double and scored on hits by Sugarman and Bruce Pienkowski. Later in the inning Mullins knocked in Sugarman while Rich Serrano had the 4th RBI by plating Pienkowski. For the Weakened Warriors Steve Holtham and Larry Draper each punched out two hits. On defense, pitcher Dennis Kinecki held the Cubs bats under control for most of the game and Greg Miller at 2nd base made several outstanding stops. The SPARKS beat True Buffalo Apparel 10-1 behind a 17 hit offensive attack. Winning pitcher Carl Markiewicz went 2 for 3 at the dish with a walk and 2 RBI’s. In the evenly balanced attack Jeff Becker, Brian Guise, Kevin Larson, Neil Wolfe, Tim Berbach and Aaron Featherman each had 2 hits for the winners. Brian Mach was strong in right field and Ken Mamon at shortstop had 12 put-outs for the SPARKS. 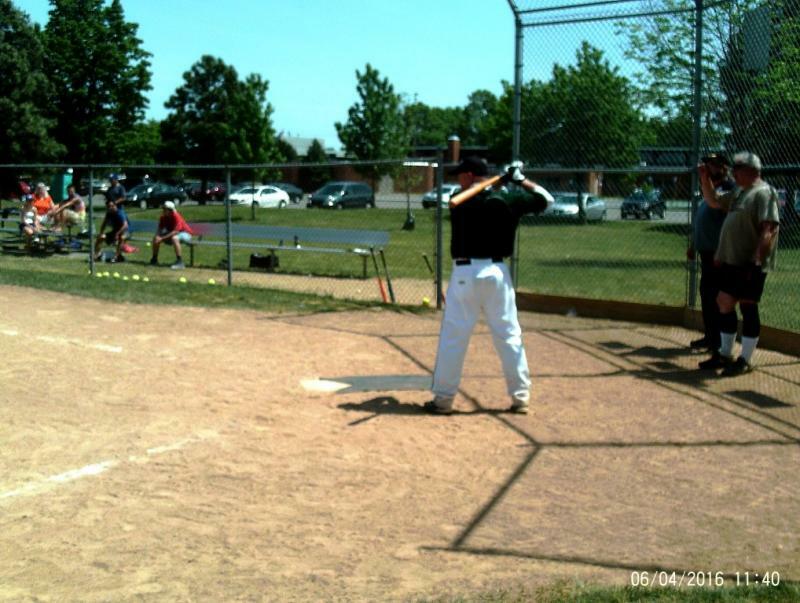 Manager Mark Bellanca had 2 hits as did Mark Kane for True Buffalo Apparel. Greg Keurian played a great game at 3rd base with 6 put-outs and smashed a four-bagger in the 6th inning to get the losers on the board. 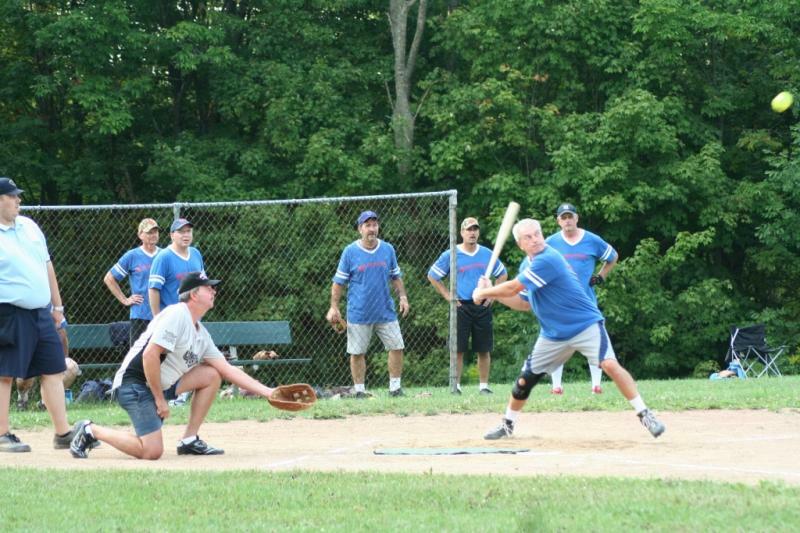 The 50+ Senior Wood Bat Softball League thrives on defense. The key to winning League games is great defense and timely hitting with runners on base. The Weakened Warriors did both as they pulled out a thrilling 3-2 win over True Buffalo Apparel by scoring 2 runs with 2 outs in the bottom of the 7th inning. John Meka tripled twice and was knocked in by Mark Bellanca and Jerry Magoffin to give True Buffalo Apparel a 2-1 lead deep into the game. Veteran Lynn Boehmer pitched a strong game while Rich Jablonski made several great defensive stops at 3rd base for the TBA team. The Weakened Warriors were led in the field by Matty Mann, Larry Draper, Craig Egan and Mike Konkle who all stepped up to make big defensive plays. Winning pitcher Dennis Kinecki held the opposition bats to just 7 hits. In the bottom of the 7th frame, trailing 2-1 with 2 outs, Mike Konkle drove in the winning run for the come from behind win. The SPARKS scored a total of 10 runs in the 4th and 5th innings to break open a close game for a 13-3 victory over Team X. Neil Wolfe got the hill win and added 2 hits. Paul Young went 4 for 5 with 2 doubles, Kevin Larson was 4 for 4 at the dish, Ken Mamon went 3 for 4 with a double while Aaron Featherman added a double for the winners. Tim Berbach, Ken Boos and Bud Smith were strong in the outfield for the SPARKS. Fred Marshall had 2 hits, Tom Kania a hit and RBI while Roy Szczublewski added 2 hits for Team X. 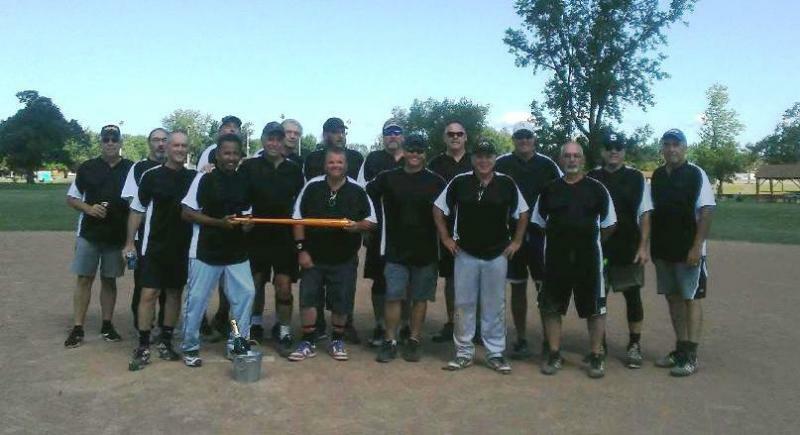 The 50+ Senior Wood Bat Softball League resumed play at Cheektowaga Town Park Saturday with two very different game results. The True Buffalo Apparel team posted the first shutout in league history while the Sparks pounded out a double digit victory. True Buffalo Apparel defeated the Weakened Warriors, 4-0, in a great defensive performance. Jon Robbins and Lynn Boehmer combined to hurl a six-hitter. The defense turned three double plays with Mark Bellanca and Rich Serrano leading the way in the field. Greg Keurian smacked a triple to open the game and scored on a single by John Meka. In the second inning, Serrano, Mark Kane and Mike Woods singled and scored on RBI hits by Rich Jablonski and Robbins. For the Warriors, Paul Young and Greg Miller made excellent defensive stops while Craig Egan added two singles. The Sparks beat Team X, 12-2, with a steady barrage of base hits. John Mullins got the win on the hill, allowing just two runs in the final frame and adding two base hits. Ken Mamon had a 3-for-3 day at the dish while Ken Boos, Carl Markiewicz, Tom Kania and Tim Berbach all poked two hits. Gary Bukolt had two hits and Dennis Kinecki drove in two runs for the Warriors. Additional players over 50 years of age are needed to fill out team rosters. Games are played at Cheektowaga Town Park at 10 a.m. on Saturdays and there is no residency requirement. All teams use the same wood bats supplied by the league. 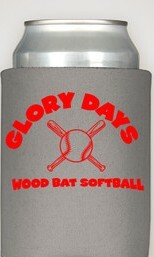 For more information, visit www.woodbatsoftball.com or call 863-8978 to join a team. 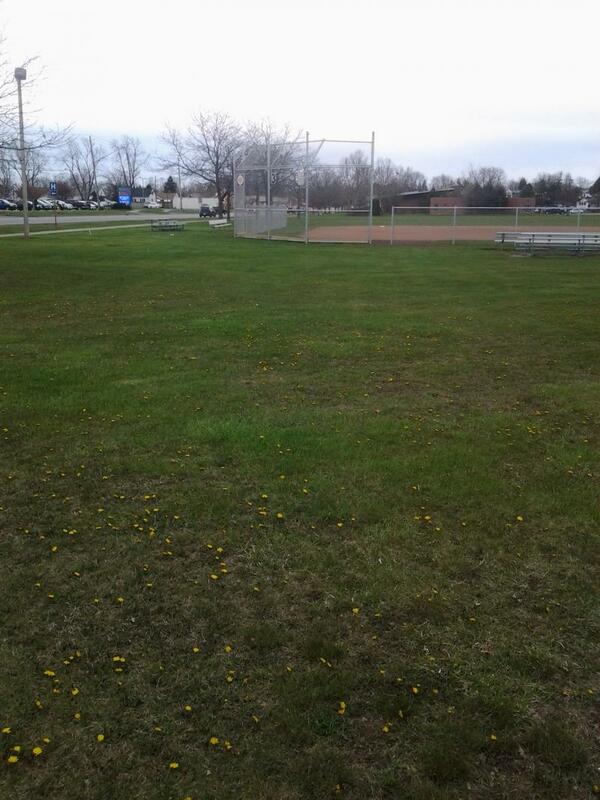 Diamond #5 at Cheektowaga Town Park Harlem Road @ Greenleaf Dr. FEATURES OF OUR LEAGUE ! - ALL wood bats are supplied by the League - everyone uses the same equipment ! -Low cor softballs ensure a safe game with defense & singles a major key to winning ! The bat below is a "wood" bat ? It has carbon fiber rods inside with a pure wood exterior. The rods "help with bat stability and provide a little extra pop" per the manufacturer. This is why the League supplies all the true wood bats for each game!! The result has been a level playing field for all participants. No high-tech aluminum bats brought in by individual players. All players in a game use the same wood bats! Since we began play in '10 numerous Leagues & Recreation Departments across the country have contacted us to copy our format. OUR GOAL is to provide a safe and competitive team sport for Senior Men in a game that resembles the baseball of our youth within a softball format we have enjoyed as adults. 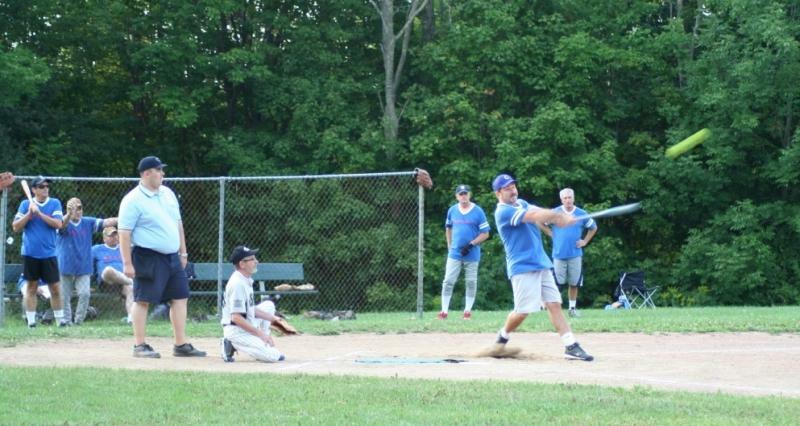 HE MADE A SIGNIFICANT RECOVERY, MOVED CLOSER TO THE CHEEKTOWAGA AREA AND FORMED THE SENIOR WOOD BAT SOFTBALL LEAGUE. THE LEAGUE IS A NYS REGISTERED NOT-FOR-PROFIT ORGANIZATION WITH PROCEEDS GOING TO A LOCAL WNY VIETNAM VETERANS ORGANIZATION. THE FOUNDER IS A VIETNAM VETERAN. FIRST 60+ WOOD BAT LEAGUE IN THE US ! ARNIE'S ARMY WINS INNAUGURAL 60+ CHAMPIONSHIP ! It doesn't matter what Glory Days Division you play in - not at all. We're all just so damn lucky to be playing ball, making new friends and celebrating the past. The ABBA song below tells our story ! "It feels like I win when I lose" How true! The Americans jump on Ron Bright after his 2-out single plates the winning run in the bottom of the 8th inning vs. the Surfin' Birds in Round I of the Play-Offs. 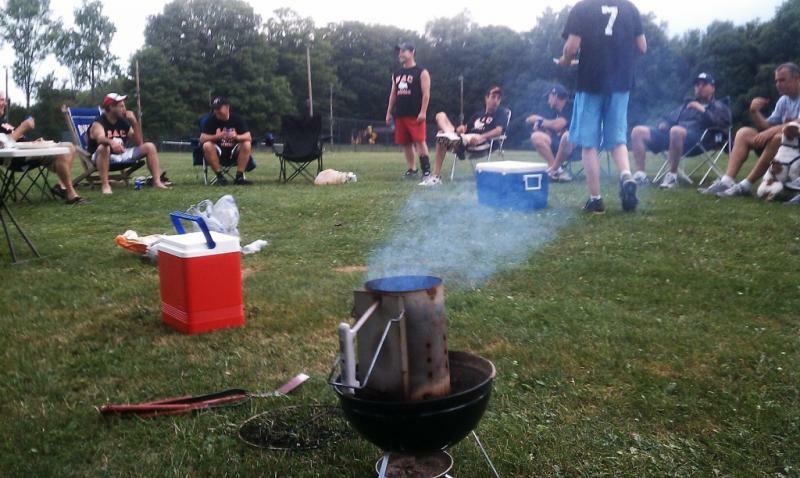 WGRZ-TV Reporter Ben Hayes did a story about our League which includes some game footage. The video below explains some of the reasons behind our League name! 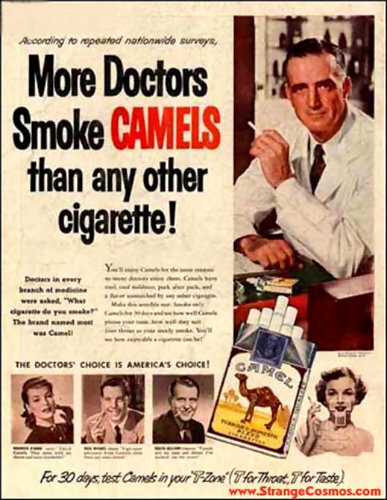 Get by the short commercial, click on full-screen, turn up the volume and remember your GLORY DAYS! THE 'CRACK' IS BACK IN THE GAME ! The League President doing his job! The Griller's doing their thing ! Sparkle Cleaners has a full team for their picnic on 7/5/12 ! Tim Bajdas rockets a single to RCF in a Sparks 5-3 win over the Surfin' Birds on 7/5/12 with a game time temperature of 84 degrees! Our Baseball Cards were so great! 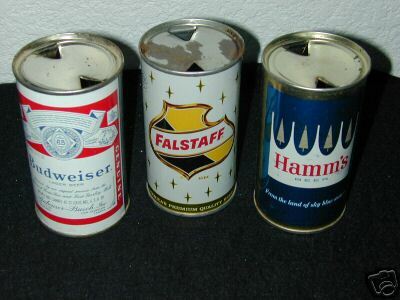 That smell of gum in wax paper wrappers! Watch the video below - see if you had any of these cards!! Copyright 2010 wood bat softball. All rights reserved.